Remember last week's post sharing the vintage pattern for a 'puff pillow'? 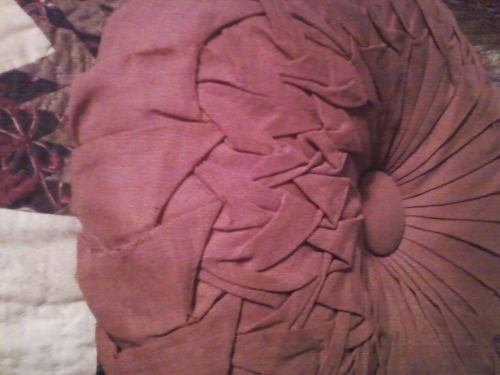 Since then I've learned they are also called smocked, pleated, pintuck and cushion pillows. One of the best things about having a blog, is sharing information and photographs, and shortly after that post was published, Dorothy, my Oklahoma cousin, shared with me the true story about the pattern and pillows. Turns out it was actually my GREAT-grandmother (Granny Howard) who made many of these pillows and gave as gifts in 1966/1967. Some were made of cotton/polyester, as the one shown here, and some of a crushed velvet or corduroy. We're surmising that the pillow I recall was probably a gift from my great-grandmother to her daughter, my grandmother (Granny Bennett). The pillow I remember is similar to the one in this post. And the story gets even better.... Dorothy has a couple of them and we're looking at one of them today! 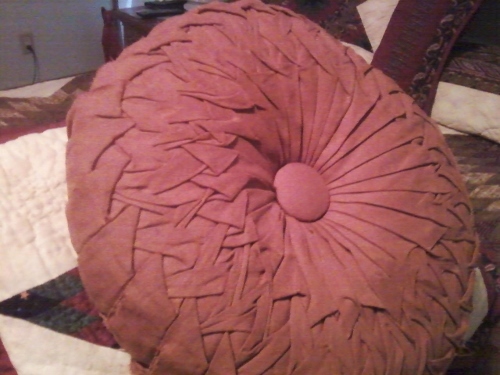 What is interesting about this pillow, is that the smocking lays more on the 'top' instead of the sides. Wonder if her inner pillow was larger than her smocked piece and she worked the difference into her 'design'.... or if she simply planned it this way. I like this 'look' a lot. After receiving these photos, I decided to take a closer look at my pattern . It looked like greek to me. Unbeknownst to me, Dorothy was doing the same. 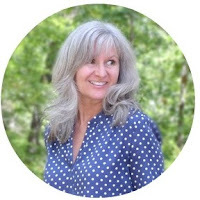 She sent me a link to Debbie Shore's Canadian Smocking/Capitone Round Pillow video - a fantastic 20 minute video that explains how to begin and work the grid, as well as complete a pillow. 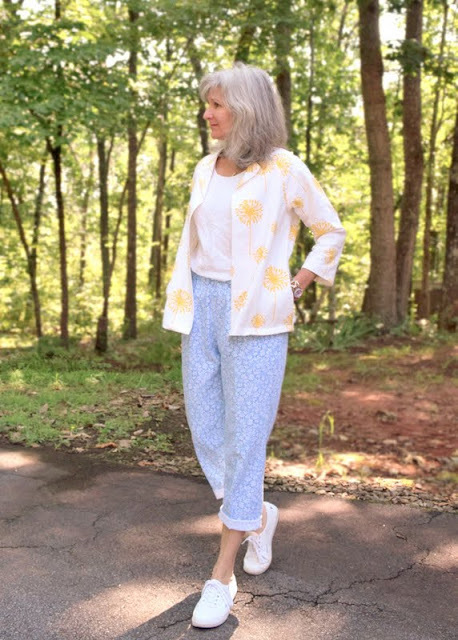 Her grid pattern is a little different than my vintage pattern's grid, but the steps are the same. ...connecting the past to the present. UPDATE: 3.10.2015 My sweet cousin sent me a different pattern we believe might be this particular pillow's pattern. My grandmother used to work at Bell Textile Company. Neither of us has sewn this pattern yet, so cannot guarantee. I'd love to know if you should make either of the smocked pillow patterns I've posted on this blog. And please use them for personal use only. Thank you! Lisa, I have inherited a corduroy pillow from my grandmother from Lansing Michigan, Looks just like this. Now it is falling apart and I want to learn how to make them and replace it with many. Make them as gifts too! Are you sure that the pattern is the same as the pillow above? Hi Holly! I am not sure now that this is the 'exact' pattern she used for that particular pillow as my cousin, who has more of her things than I do, sent me a pattern she found in our great-grandmother's files designed for Bell Textile Co., Tulsa, Oklahoma, who we know my grandmother worked for. 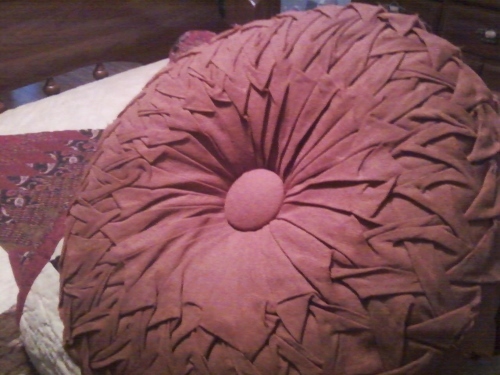 My cousin feels that one may be the original pattern the pillows were fashioned after. If you send me your e-mail, (the one associated with your comment was a 'no-reply') I will scan this pattern and send to you too so you will have both.... the one from the blog and the one I haven't published yet.... for you to compare to your pillow. My cousin has made a couple of pillows from the pattern from Bell Textile, but I have not.... yet! She says they are not difficult to do and work up fairly quickly. Hope this might help you in your journey! I remember my grandmother, who was an expert seamstress, making these pillows in cordoroy for all 15 of her grandchildren and she also gave many as gifts. If I remember right, she never used a pattern for any of her sewing so I thought these pillows were lost. When I moved into my parents house and was cleaning up I found 2 of them. They also have the smocking on the front. I would love to try to recreate them and thought about taking the ones I have apart, but they are all I have left of my grandmothers beautiful work. I have been looking on the internet to try to find a pattern like the pillows I have, but they all looked different until I came upon your website. 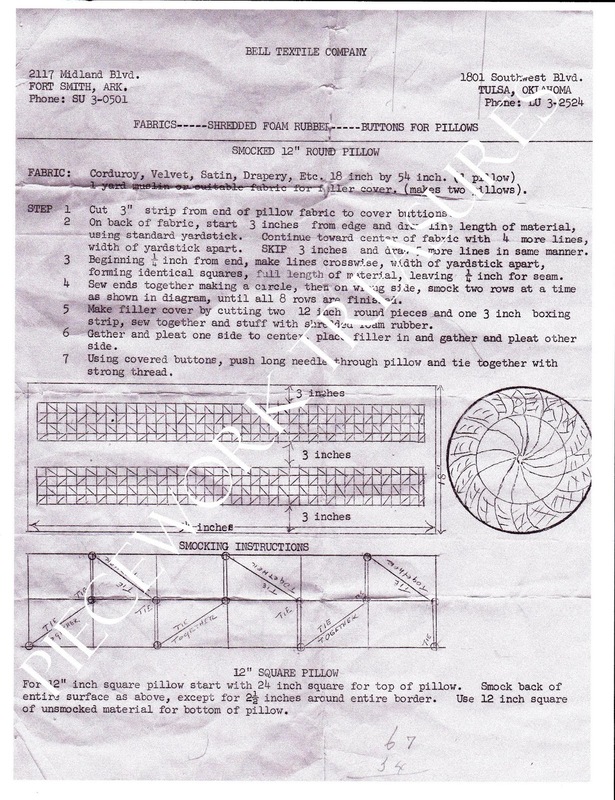 Could you e-mail me a copy of this pattern that you have not published yet? I will make them as gifts to my cousins because I am sure I am the only one who still has one of "Gramm's pillows". Hi Sandy! I added it to this post today and will also respond privately to your e-mail. Hope this helps you re-create your family's special pillows.